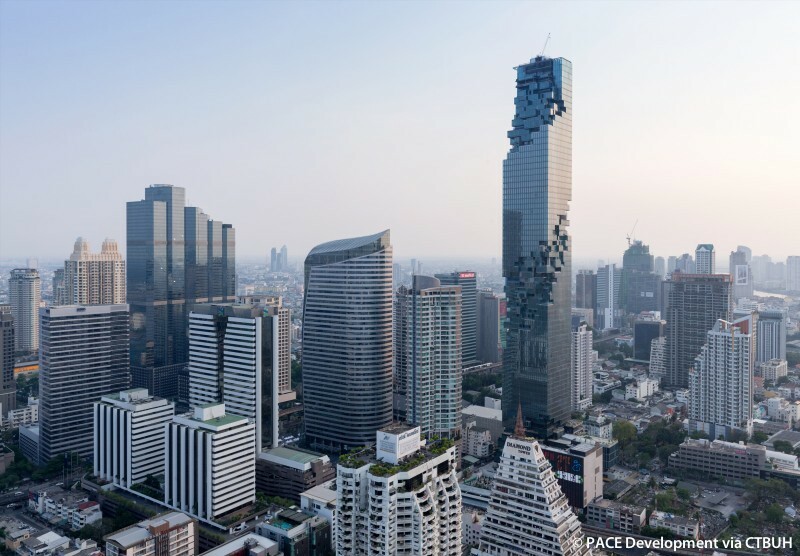 Developer	 PACE Development Corporation Plc. 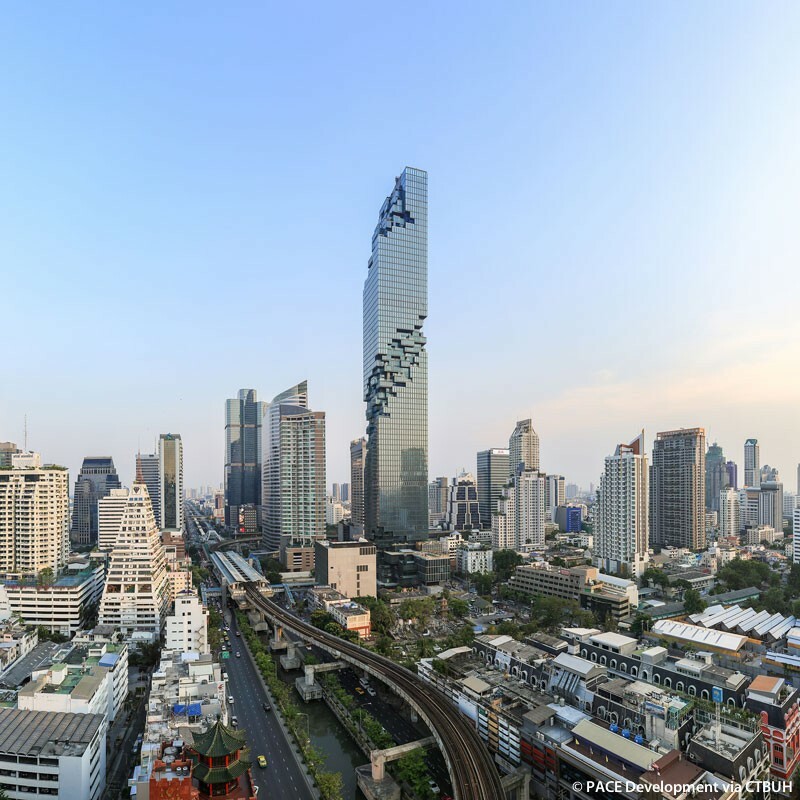 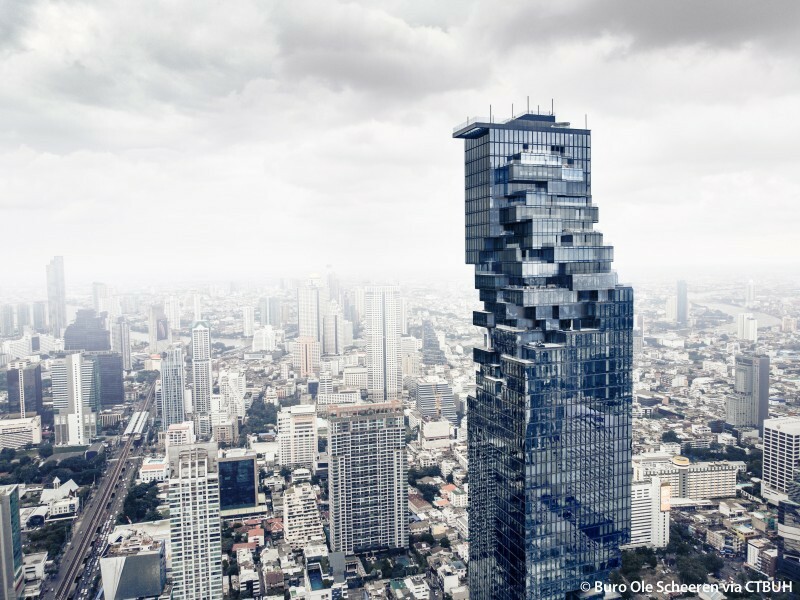 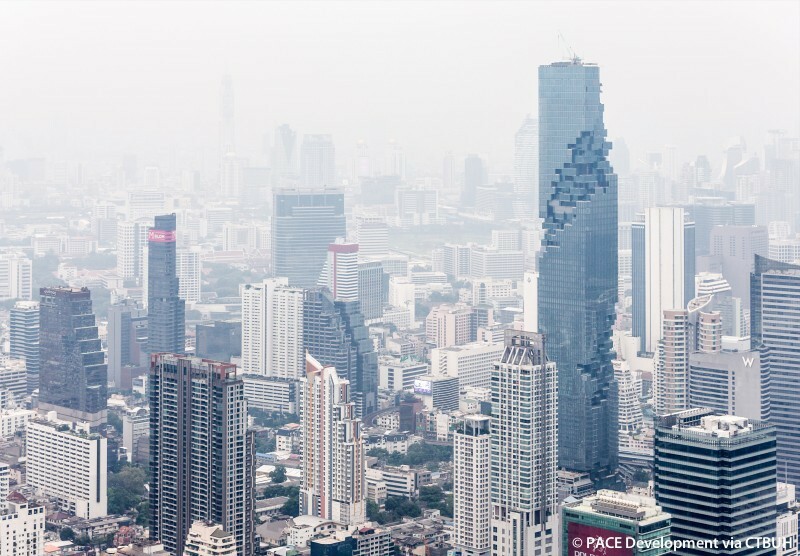 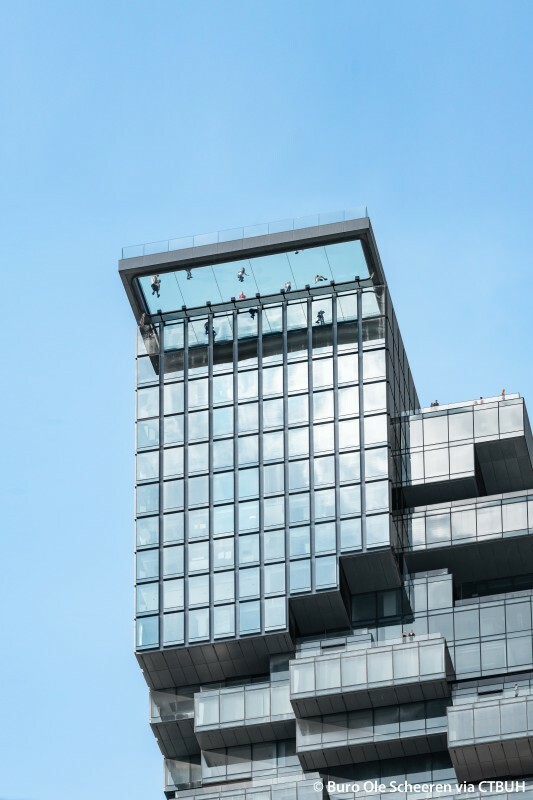 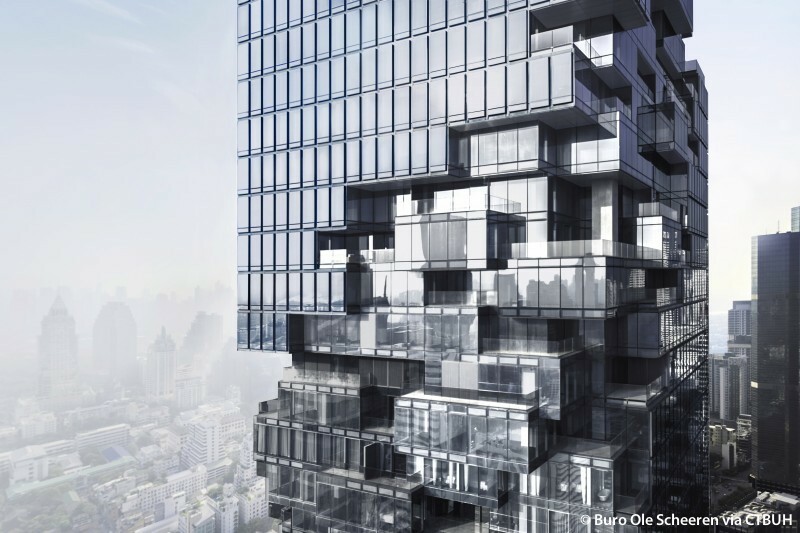 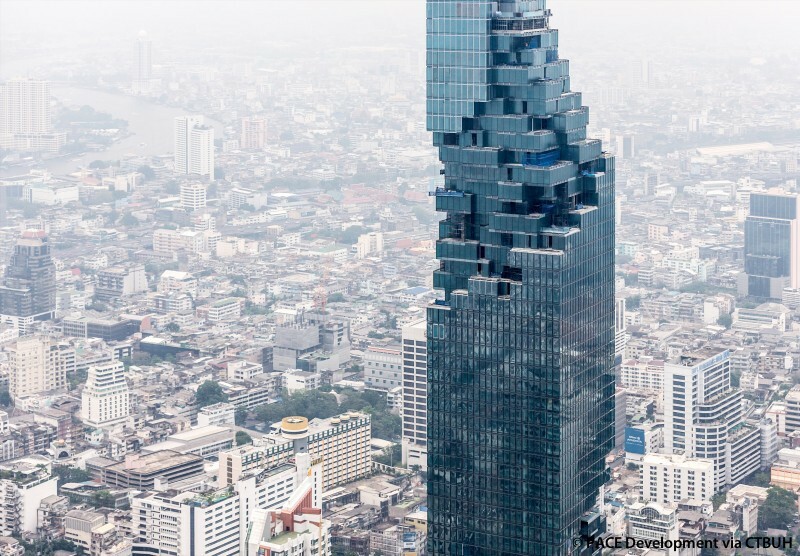 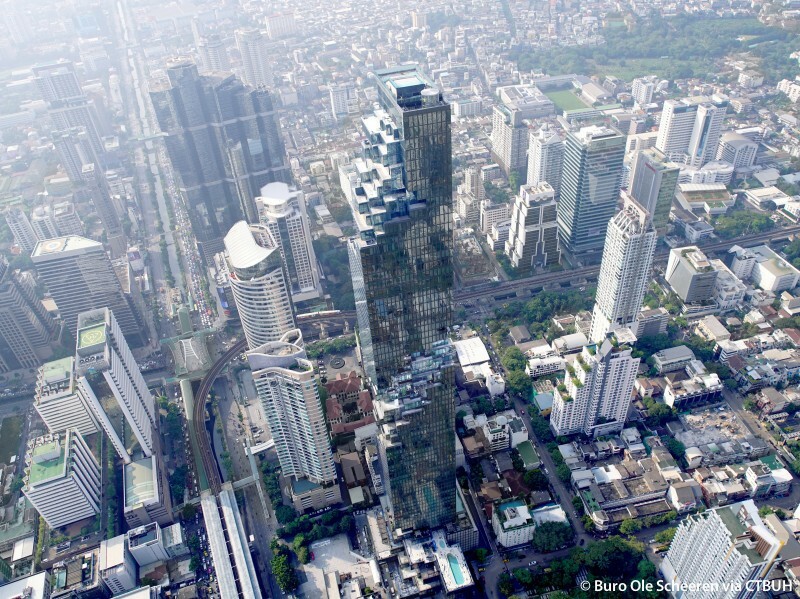 • Vertical Transportation	 Arup;	MovvéO Ltd.
MahaNakhon is a mixed-use development providing residences, retail, hotel and an observatory in the heart of Bangkok. 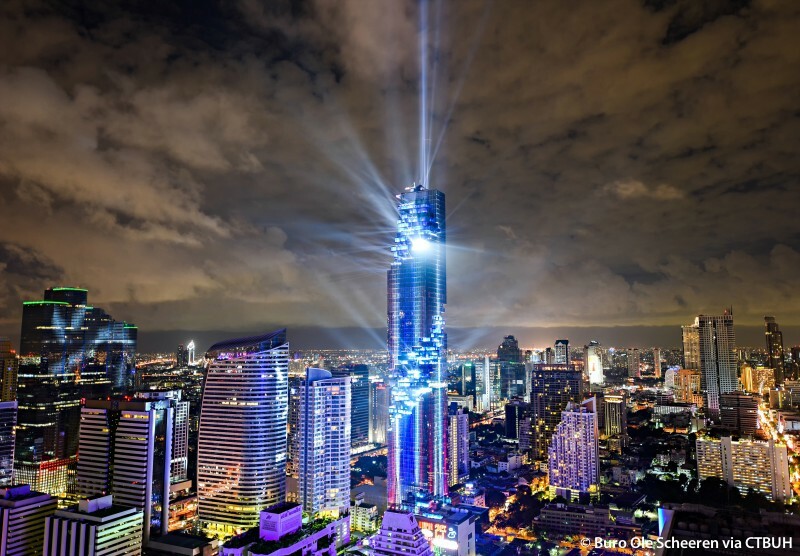 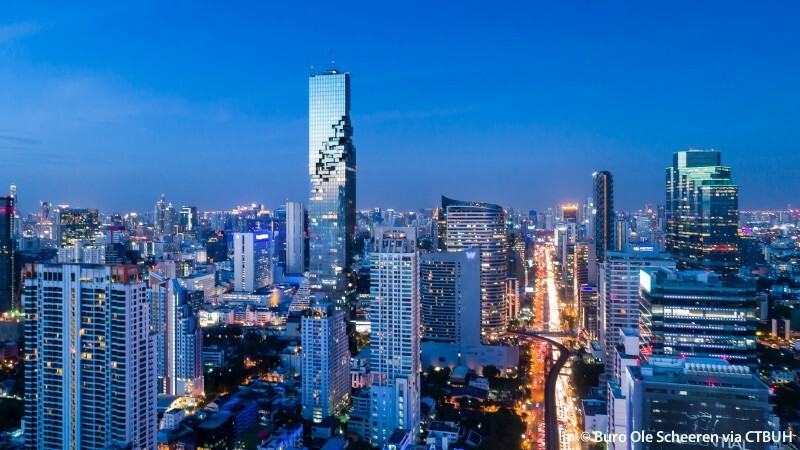 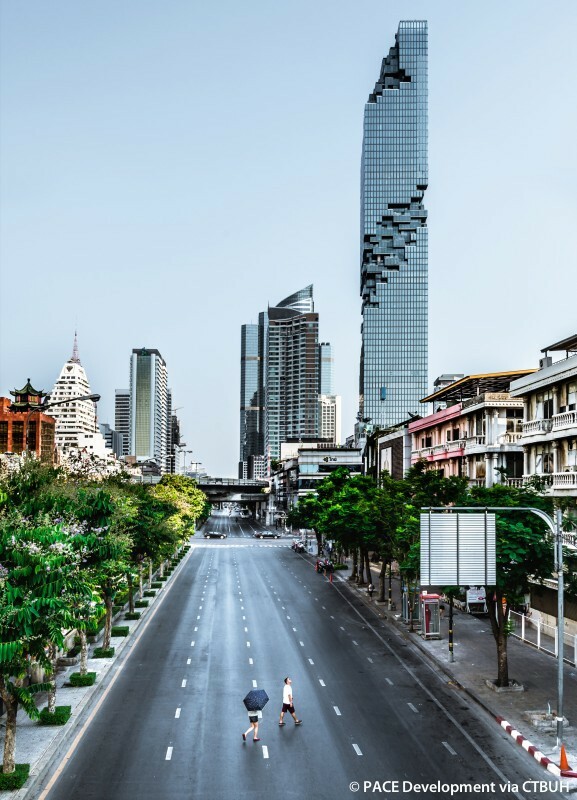 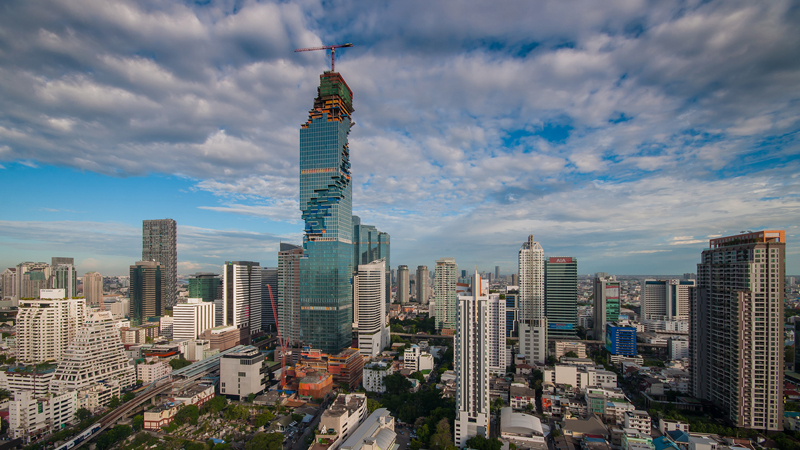 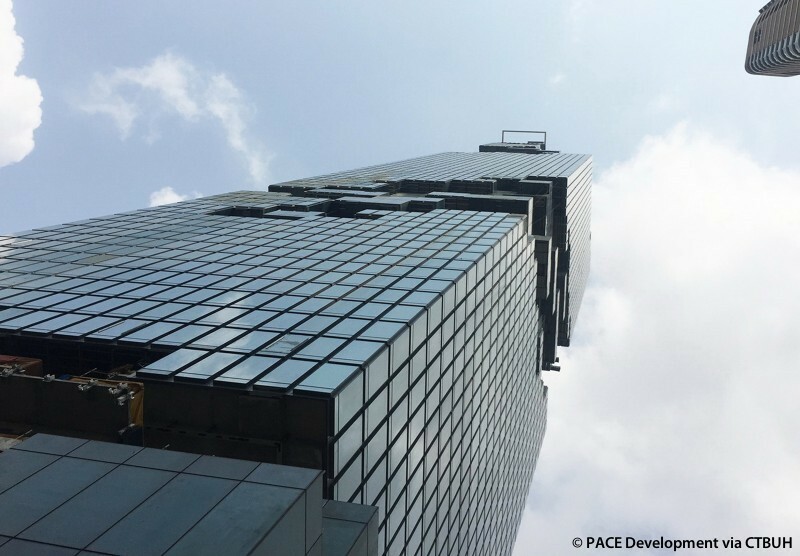 Located in the Silom business district, directly adjacent to the Bangkok Skytrain public transport system (BTS) and Bus Rapid Transport System (BRT), MahaNakhon is Thailand’s tallest building. 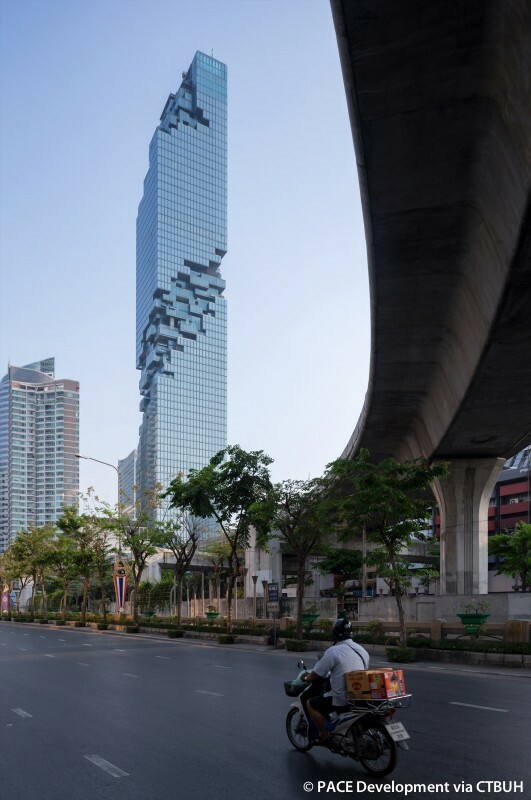 The inner city site is irregularly shaped, resulting in a three building program, the main 314m tower, a smaller retail building at the front of the site and an automated parking tower positioned towards the back. 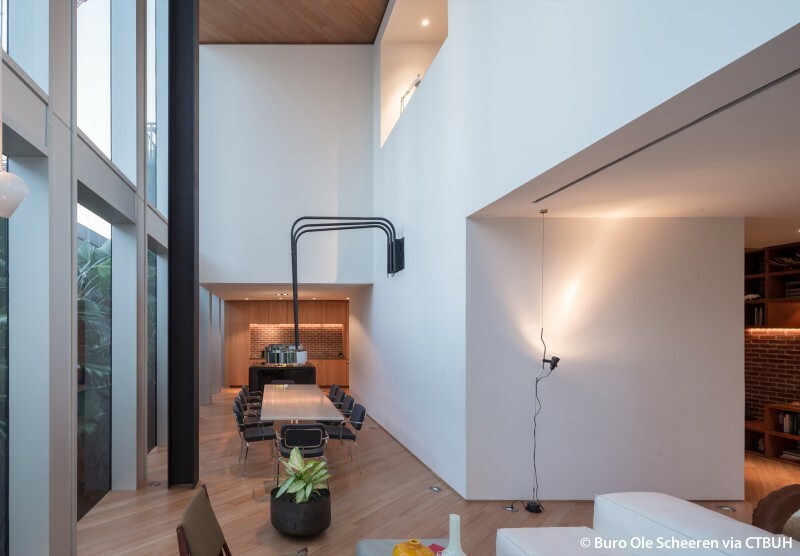 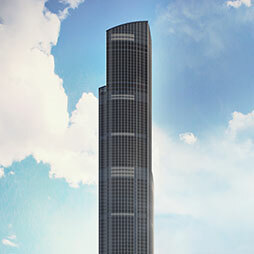 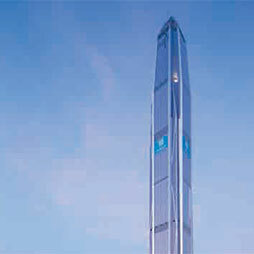 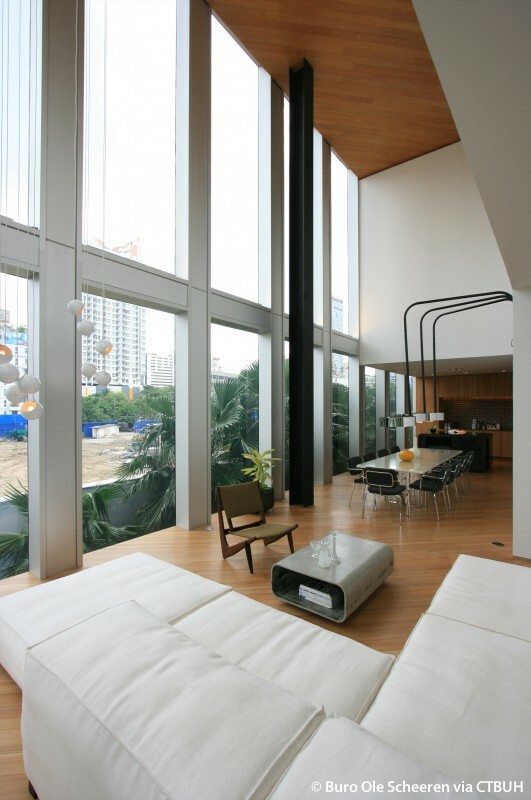 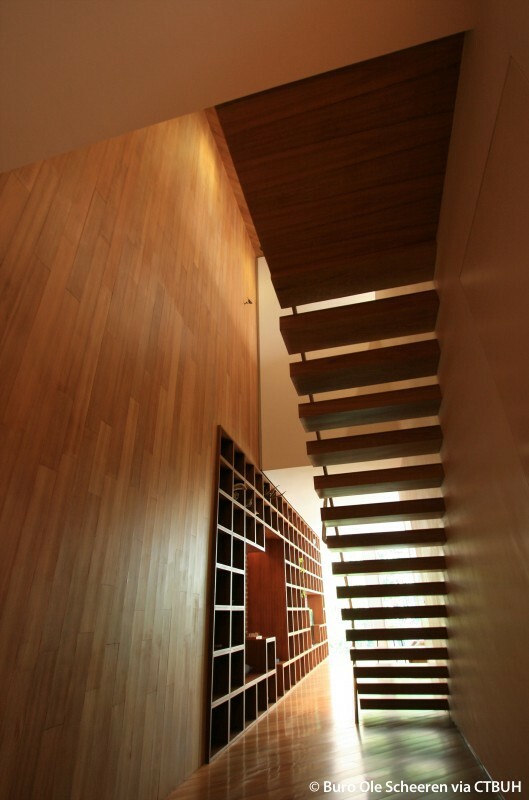 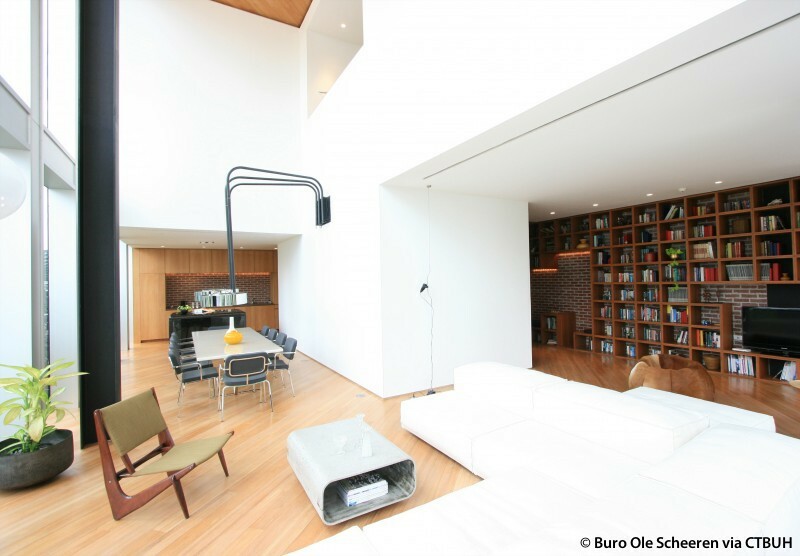 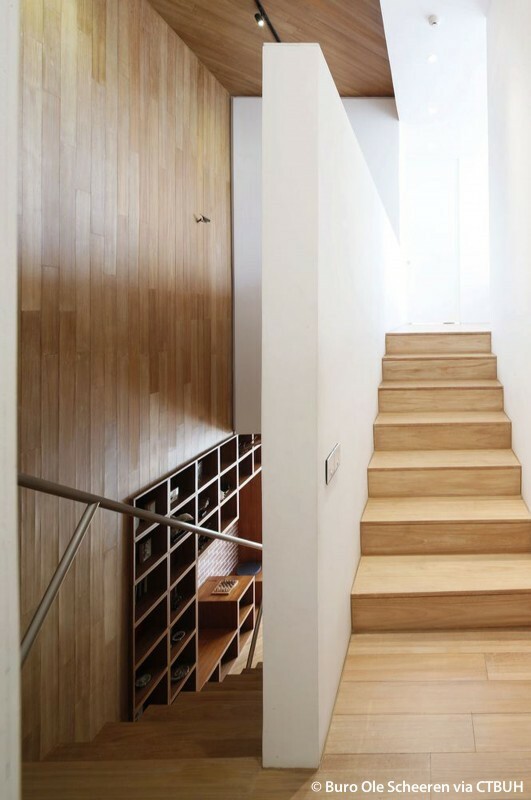 The form of the tower has a distinctive sculptural appearance which takes advantage of the tropical climate and views. 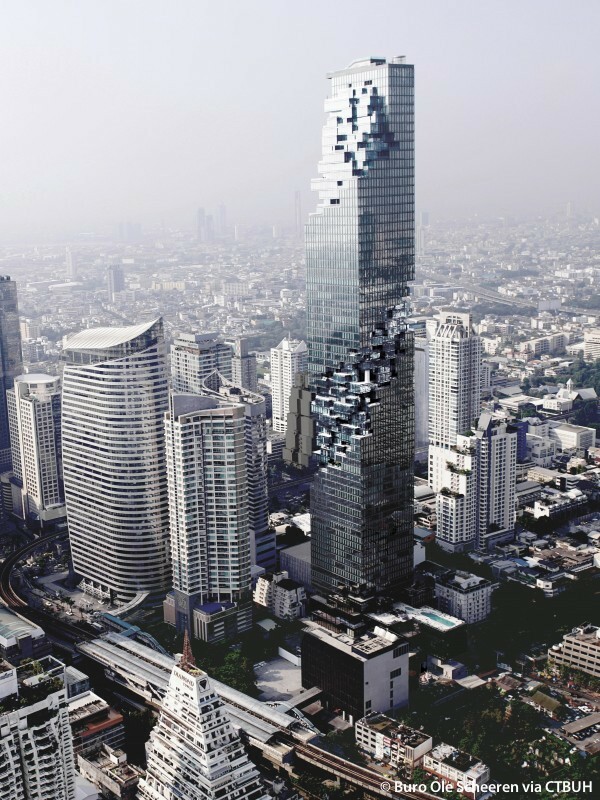 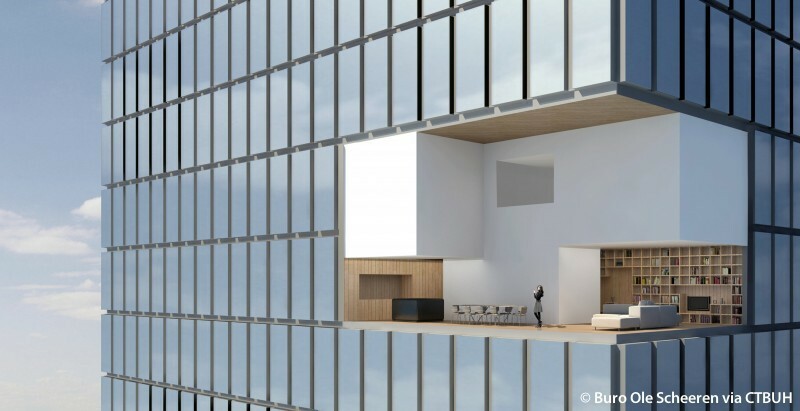 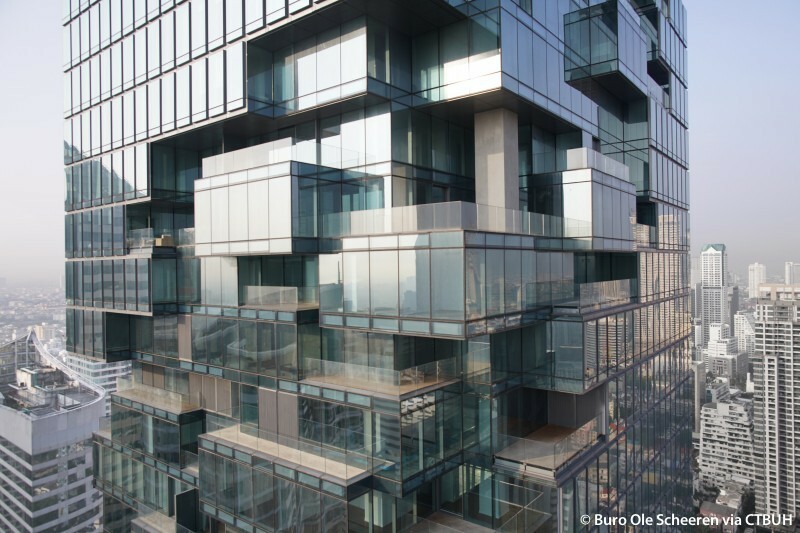 The three dimensional ribbon of architectural pixels cut away the façade of the tower to reveal the inner core, creating unique one of a kind residences as well as special features such as oversized terraces and skyboxes, protruding out from the main building. 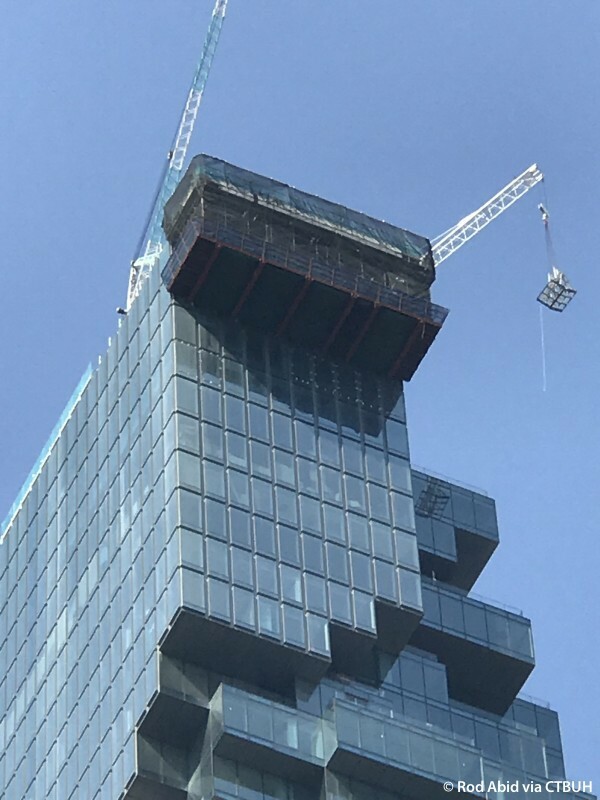 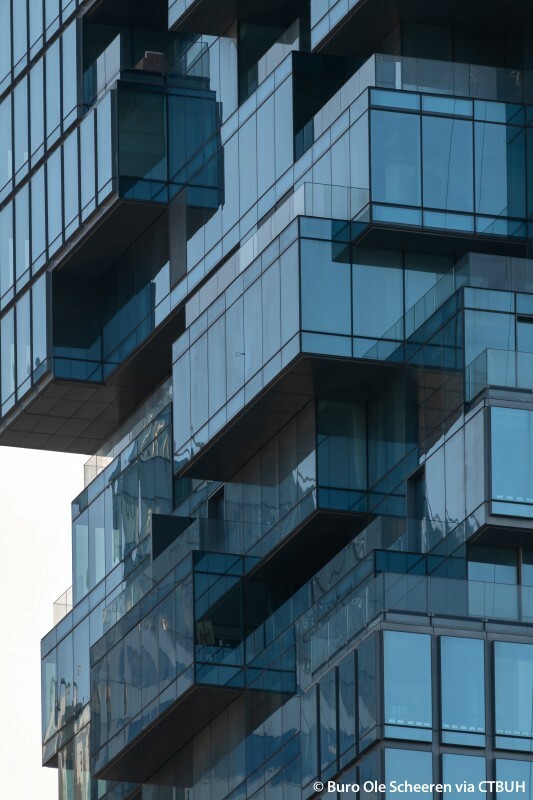 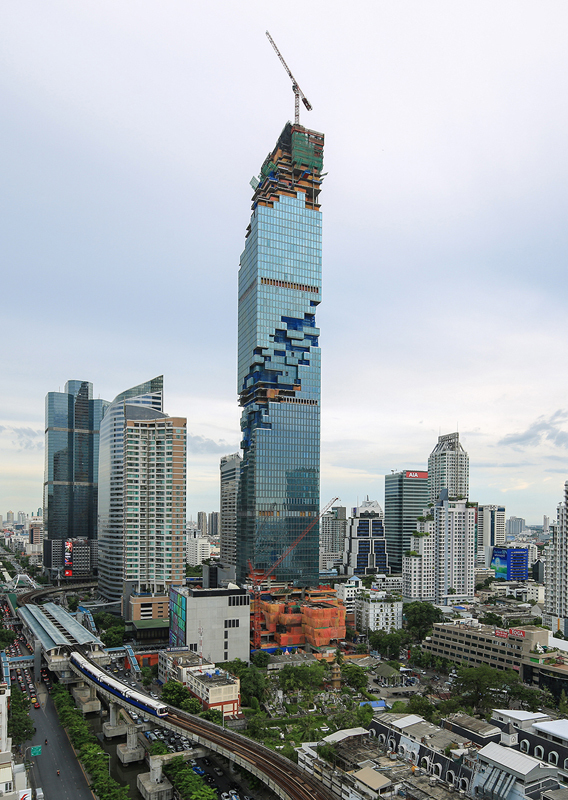 The main structure and life core is wrapped by a series of mega columns, connected at several transfer floors, and the pixelation means 30% of the tower’s floor plates are in cantilever. 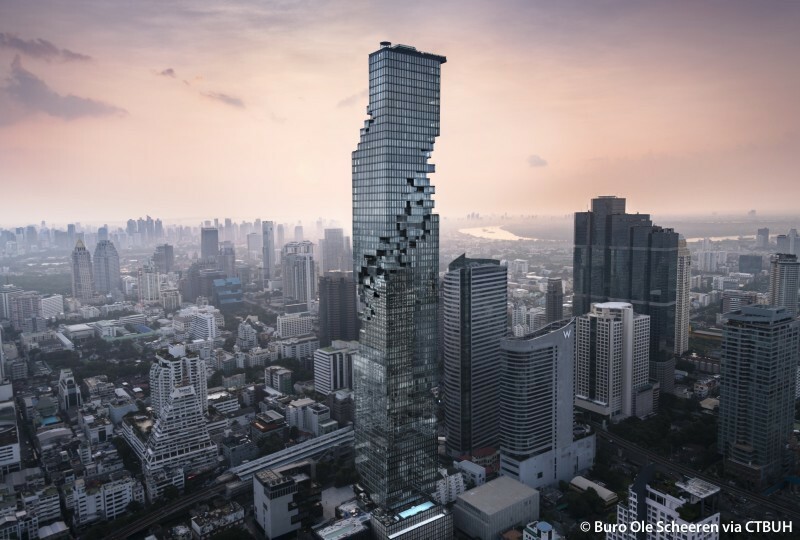 The building uses 129 piles drilled to a depth of 65 meters capped with a massive 8.75 meter thick mat foundation, to compensate for Bangkok’s soft soils. 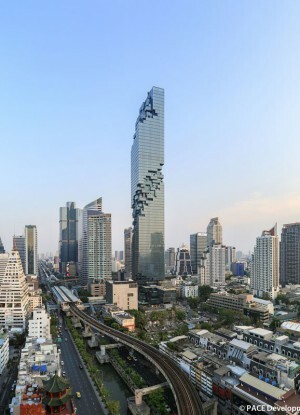 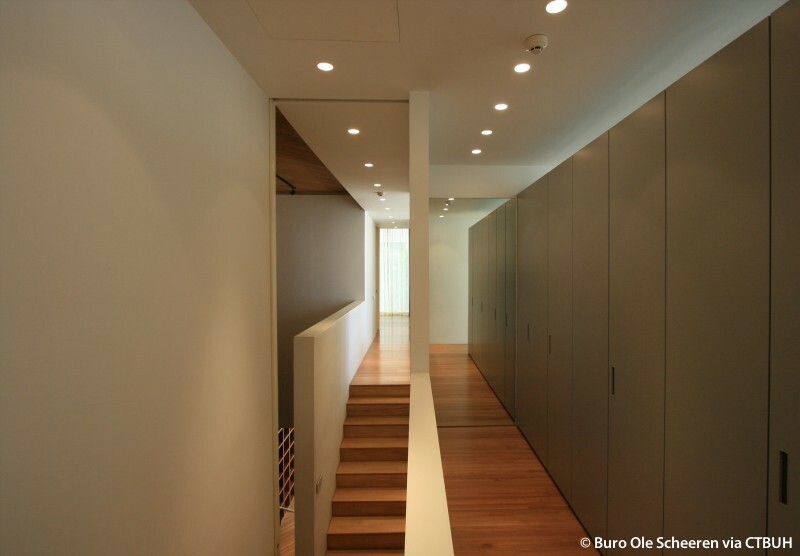 Construction began in 2011, requiring a design-build approach with construction staged in a manner to allow for a steady delivery of material deliveries working around Bangkok’s high levels of traffic congestion. 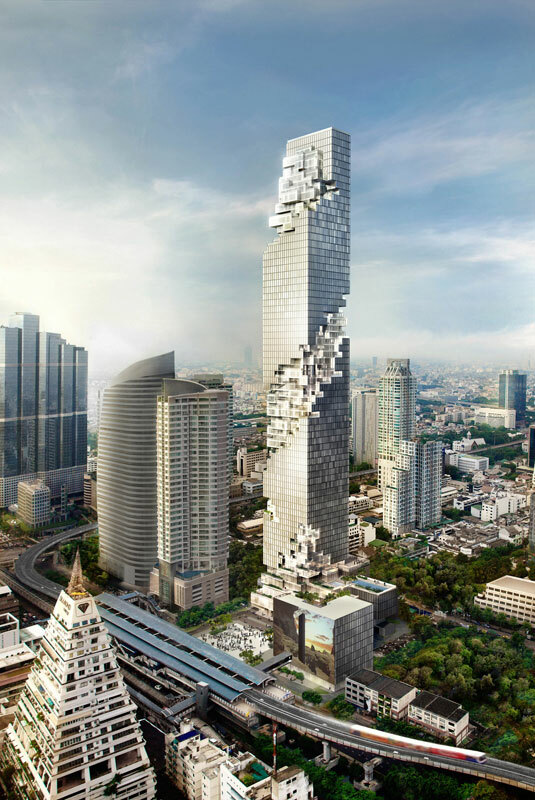 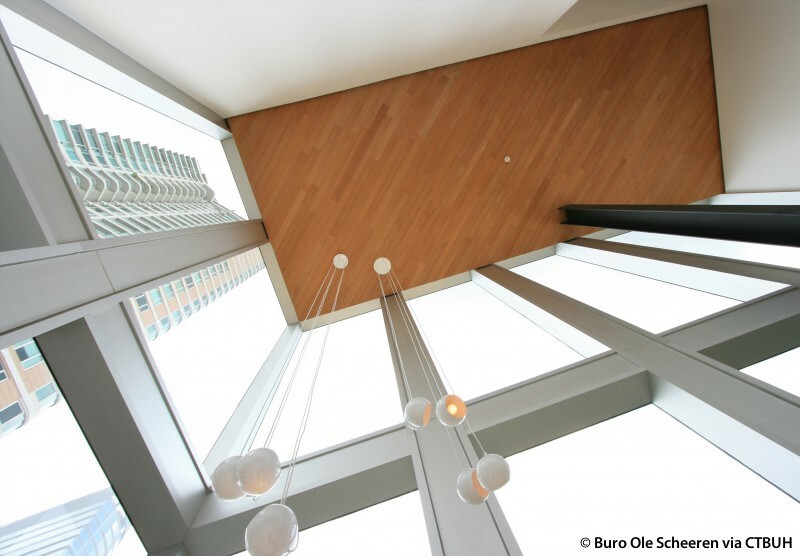 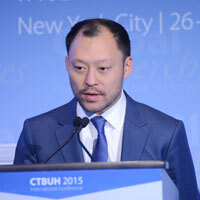 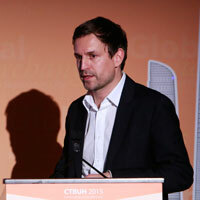 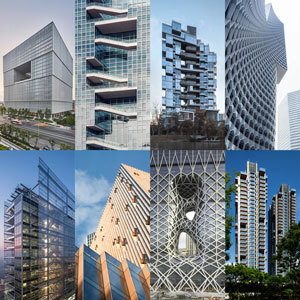 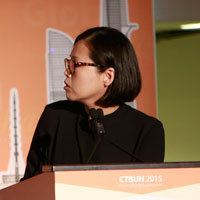 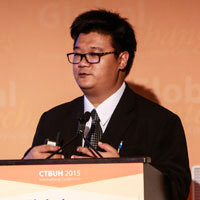 Seismic design used CTBUH recommendations and the unconventional form has been tested with 36 directions of wind load during wind tunnel testing. 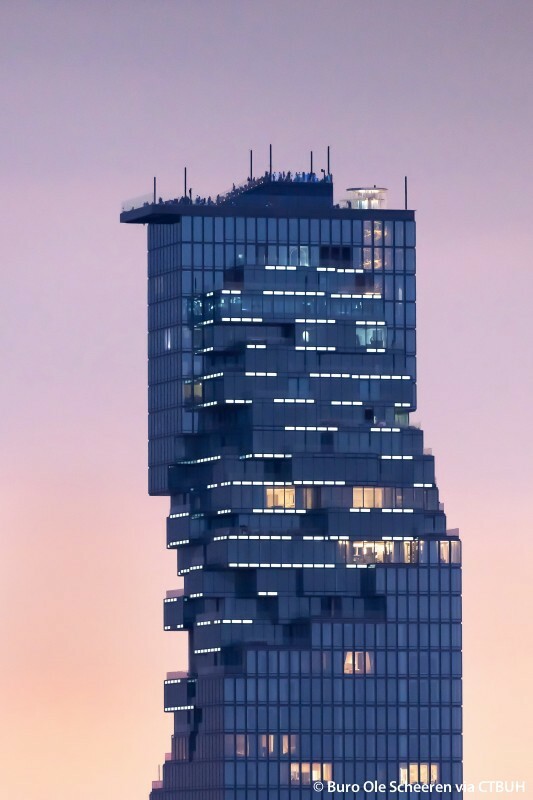 The tower was officially completed in 2016. 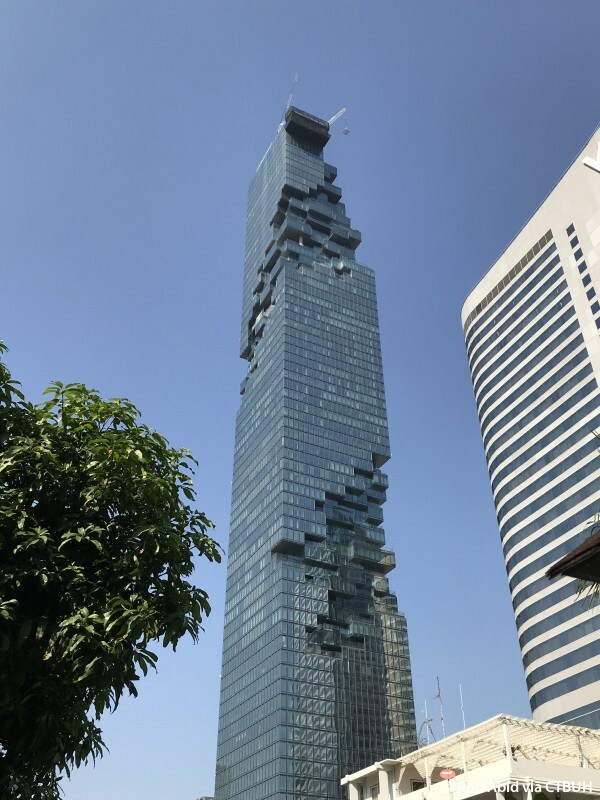 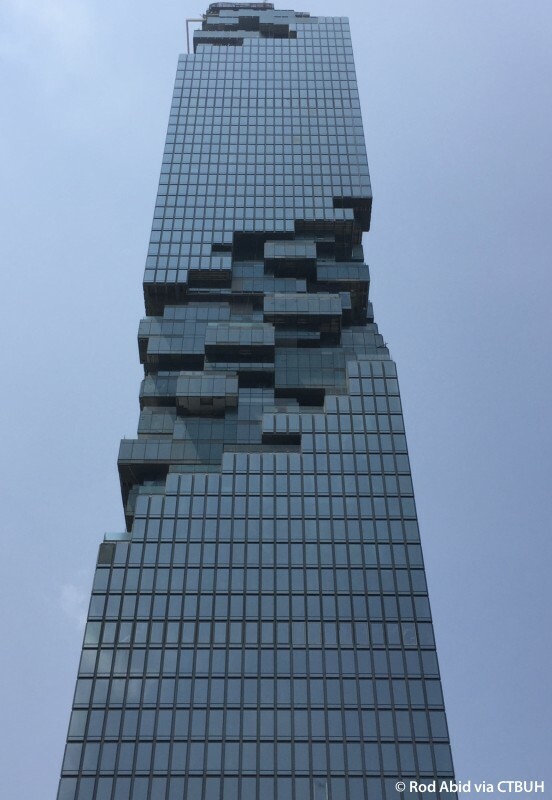 MahaNakhon means ‘Great Metropolis’ in Thai language, and integrates with the city through its organic form by dissolving the mass as it moves between sky and ground, flowing into the large outdoor retail spaces into a public landscaped square at the tower’s base. 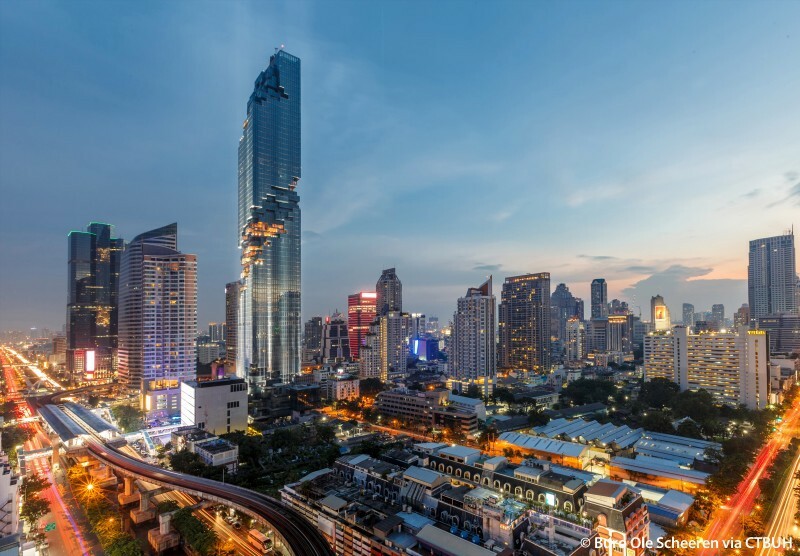 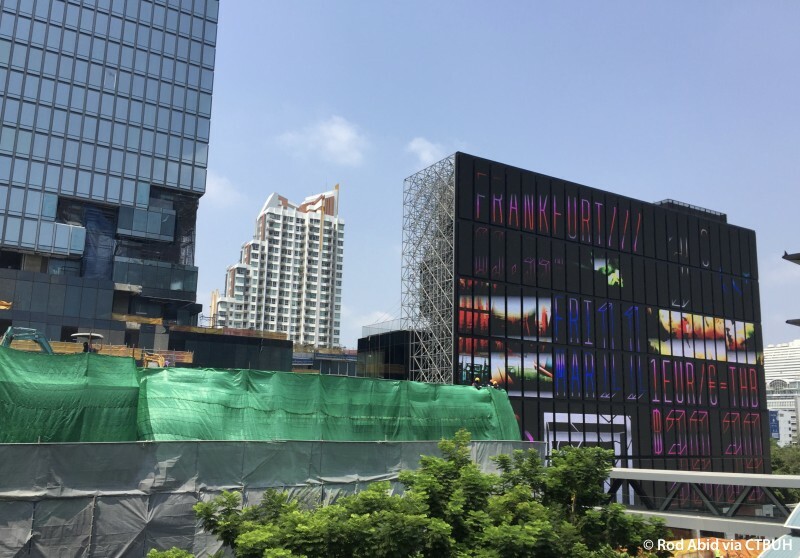 The development brings in several international brands including leading restaurants and dining adjacent to the main street, The Bangkok Edition Hotel in the lower section of the main tower, with Ritz-Carlton branded freehold luxury residences in the upper section of the tower. 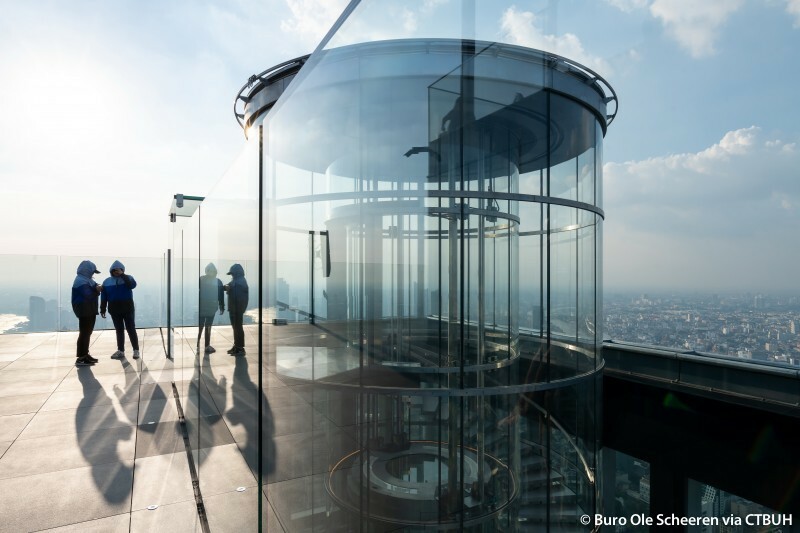 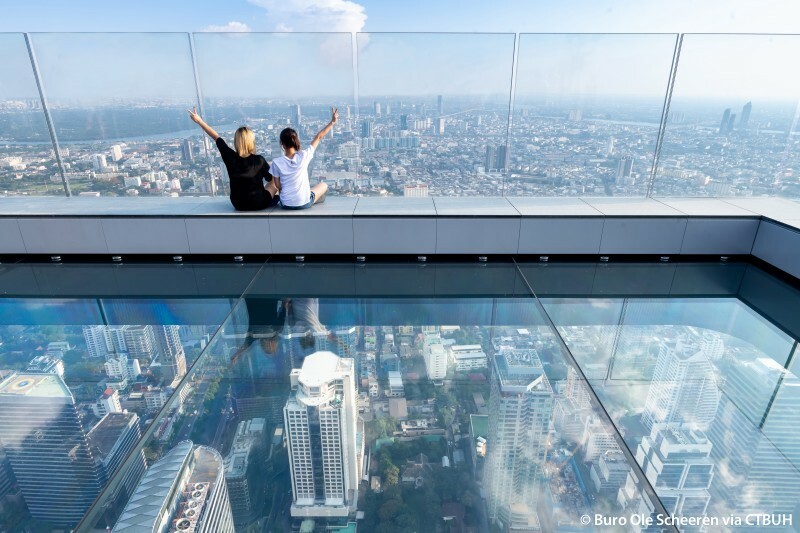 At the top of the tower, a multi storey observatory and bar tourist destination showcases the views of Bangkok. 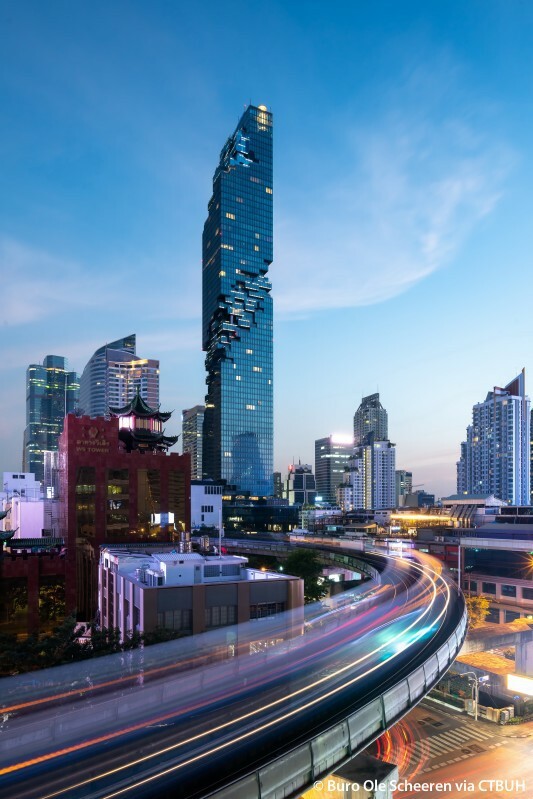 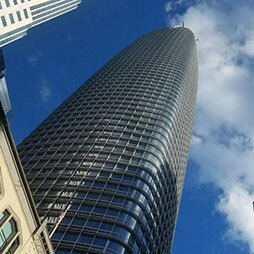 Seismic issues tend to be the predominant controlling factor in tall building structural design, particularly along the Pacific Rim.